Our review today is of Extra Strength CoQ10. During our scrutiny, we will state the facts about the product to inform consumers. NutriONN has made this product to support your immune and nervous system, replenish the depleted coenzymes caused by statin drugs and increase energy and stamina. The manufacturer has also made the product to help you maintain healthy blood pressure and to boost cognitive awareness. The product does not contain any artificial ingredients. 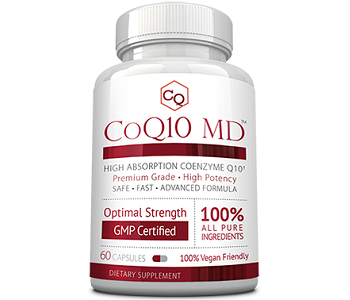 Coenzyme Q10 is the main ingredient that can be found in the product. The ingredient is a natural substance that helps to fight oxidate stress, as well as to prevent tissue damage. The benefits of the ingredient are its ability to slow the effects of aging, protect the cognitive health and improve heart health. The inactive ingredients in the product are Gelatin, Rice Flour and Magnesium Stearate. You should speak to your health professional about the product before consuming it. Unless your doctor stated otherwise, you should consume 1 capsule daily with food. To ensure optimal absorption, you should take the dose with a fat-containing meal. Do not exceed the recommended dosage. The manufacturer has stated that the product is not to be used by adults under the age of 18. Women who are pregnant or nursing and people with a medical condition need to visit the doctor before they consume the product. You can purchase the product, which consists of 120 capsules, from the official website for $35.95. The manufacturer has factored in a discount in the purchase price. Shipping costs are included in the purchase price. The manufacturer has stated that there is a refund policy that entails returning the item within 14 days of purchase. The manufacturer has not mentioned anything about getting your money back if you are unsatisfied with the product. The refund policy seems to be for defect products, as opposed to undesirable results. We saw on Amazon that several customers were unsatisfied with the product. They said that their migraines got worse after using the product and it caused an allergic reaction. 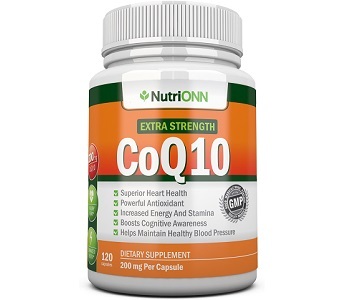 While examining the product, we were able to discover the NutriONN has made Extra Strength CoQ10 to support your immune and nervous system, replenish the depleted coenzymes caused by statin drugs and increase energy and stamina. The manufacturer has also made the product to help you maintain healthy blood pressure and to boost cognitive awareness. The manufacturer has stated that it offers a 14-day refund for the product. No mention is made about a money-back guarantee if you are unsatisfied. Therefore, we have not seen proof that the product comes with a guarantee. Consumers will be taking a risk when purchasing the product. Another concern we came across was during our search of customer testimonials. We discovered several dissatisfied customers. The customers mentioned that the product caused an allergic reaction and worsened their headaches after consumption. One customer said that the company did not return his calls when he enquired about a refund.